Graphene is considered as an excellent reinforcement due to its excellent physical and mechanical properties. 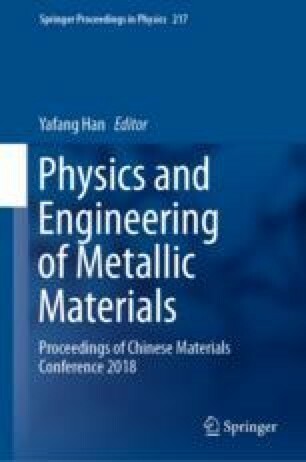 In this work, the CVD procedure was used to grow graphene on Cu foil and the SPS sintering was used to fabricate bulk graphene/Cu composite with laminated graphene/Cu foils. The graphene was characterized by SEM and Raman spectroscopy. The microstructure, the mechanical, and the physical properties of composite were characterized with OM, EBSD, TEM, microhardness, electric conductivity, and thermal conductivity. The results showed that the graphene can efficiently refine the grain size of Cu matrix, and shape the matrix into a regular laminated structure. Mechanical and physical tests revealed that the microhardness of graphene/Cu was increased by 9.6% compared with pure Cu fabricated under the same procedure, while the electric and thermal conductivities show no obvious decrease. The relevant strengthening mechanisms of the composite were discussed. We gratefully acknowledge the support by Beijing Municipal Science and Technology Commission (No. Z171100002017016 and Z161100002616035).